Families across Peru are reeling from the effects of record rainfall. Throughout March, intense rains caused widespread flooding and landslides, leaving 94 dead and almost a quarter of a million homeless. Thousands of families have been left without even basic shelter, losing their homes and their livelihoods. 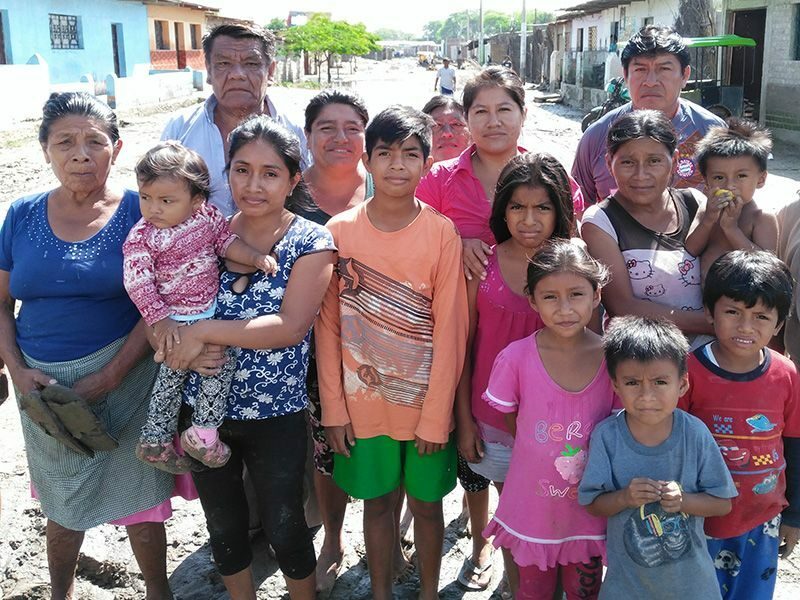 The floodwaters are receding throughout northern Peru, but thousands of families have not been able to return home. Self-settled camps have started appearing with very little safety conditions. The government is now warning of an increase in malaria and dengue outbreaks. ShelterBox is responding with ShelterKits, mosquito nets and solar lights. Your support enables us to deliver aid that is tailored to what these families need most. Help us give hope to these families, and thousands more around the world, who have been robbed of their homes. Houses are full of the thick mud. Many houses built from less substantial materials have simply been destroyed. Tim Vile shares his reflections on visiting some of the worst affected areas. ‘The only dry area is the embanked main road. I met a family who is living on the verge which is only about 2 metres wide at best. Without shelter from the sun or rains they try to live, eat and sleep on this narrow strip sandwiched between busy traffic and stagnant stinking water. With genuine tears, they told me that they had not had drinking water for some days but the tankers were now starting to deliver. They had to kill 2 snakes so far with the constant threat of more.